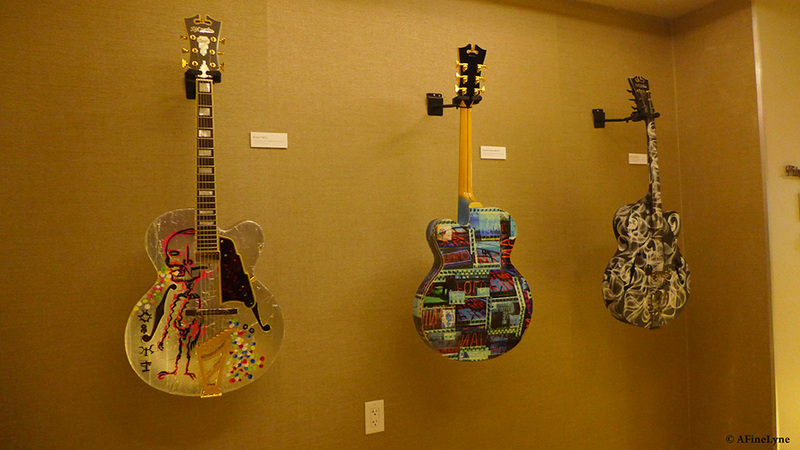 Included in this exhibit are several pieces commissioned specifically for The Quin. 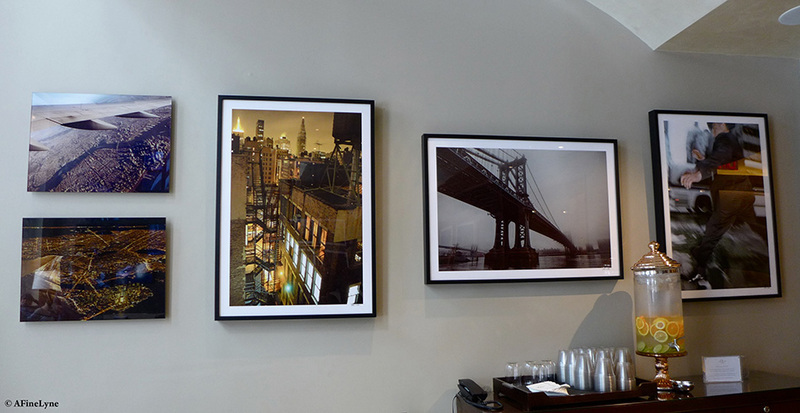 Solkaer commented, “In many ways, the work I created for The Quin serves as a love letter to New York. 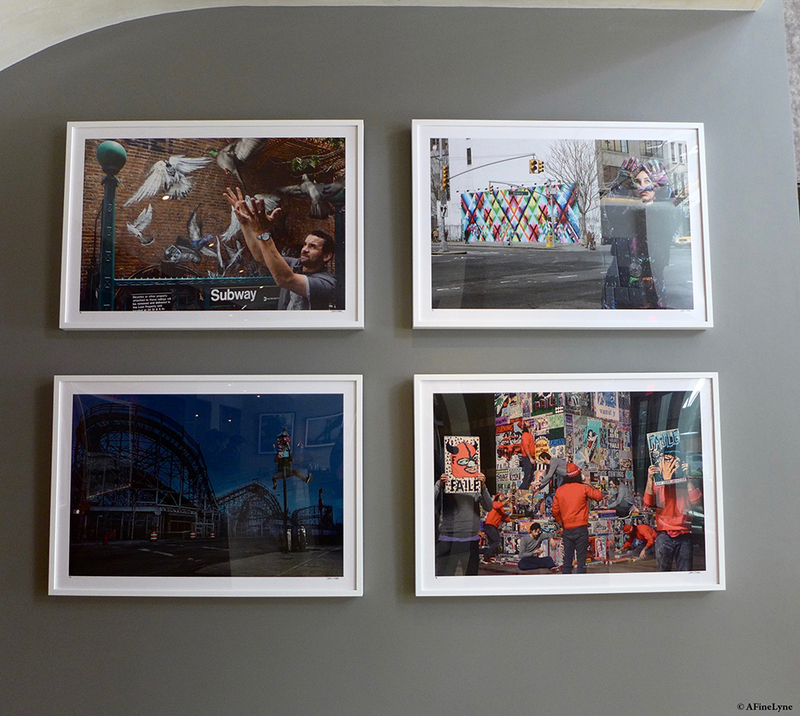 For me, New York is the most inspiring city in the world and that’s what keeps drawing me back.” Here, Solkaer brings together the work of global street artists and photography, many with a New York connection. 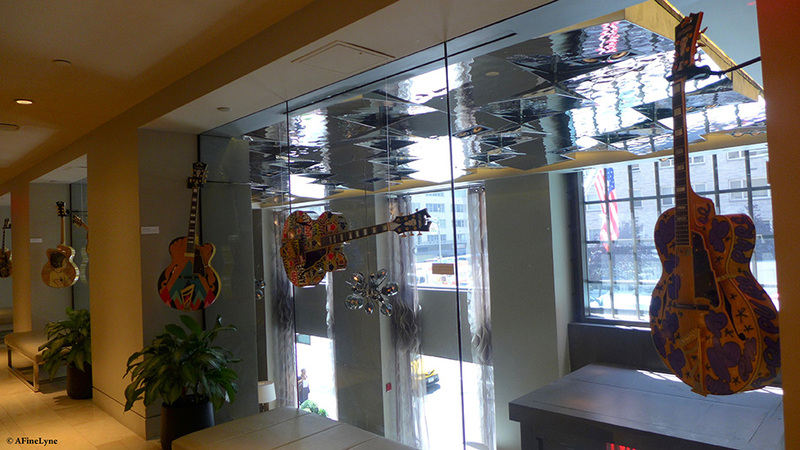 Musicians and artists have been frequent guests of the hotel throughout the years, with its proximity to galleries and across the street from Carnegie Hall. 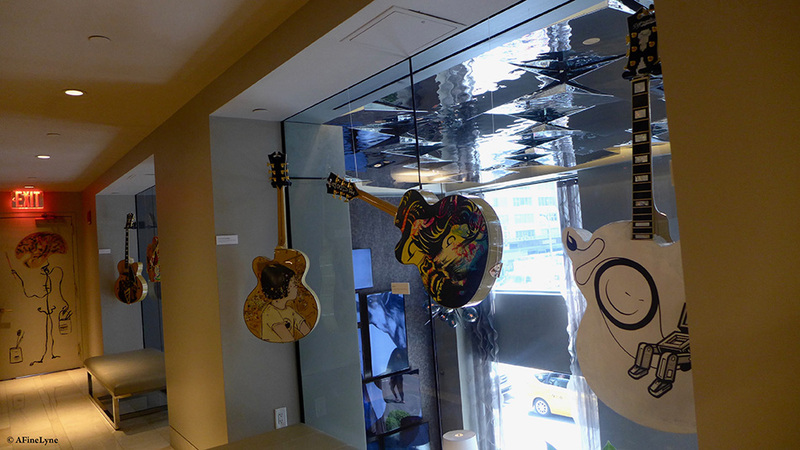 Moving on to the second floor you will find 14 D’Angelico Guitars…..
Quin Arts by D’Angelico Guitars of America “combines two artistic forms – music and art.” The participating artists were either former artists-in-residence or are represented in the hotel’s permanent collection. 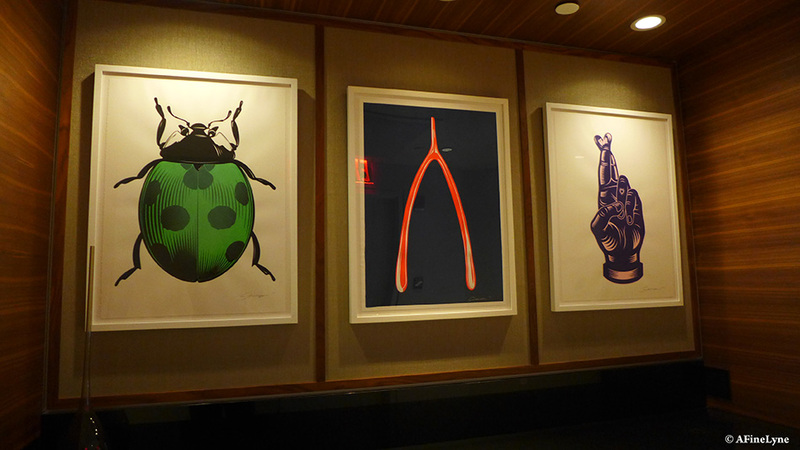 The Quin’s triplex Penthouse suite on the 17th floor includes an exhibition of more than 22 works from Soren Solkaer’s SURFACE collection. Quin Art is curated by DK Johnston. 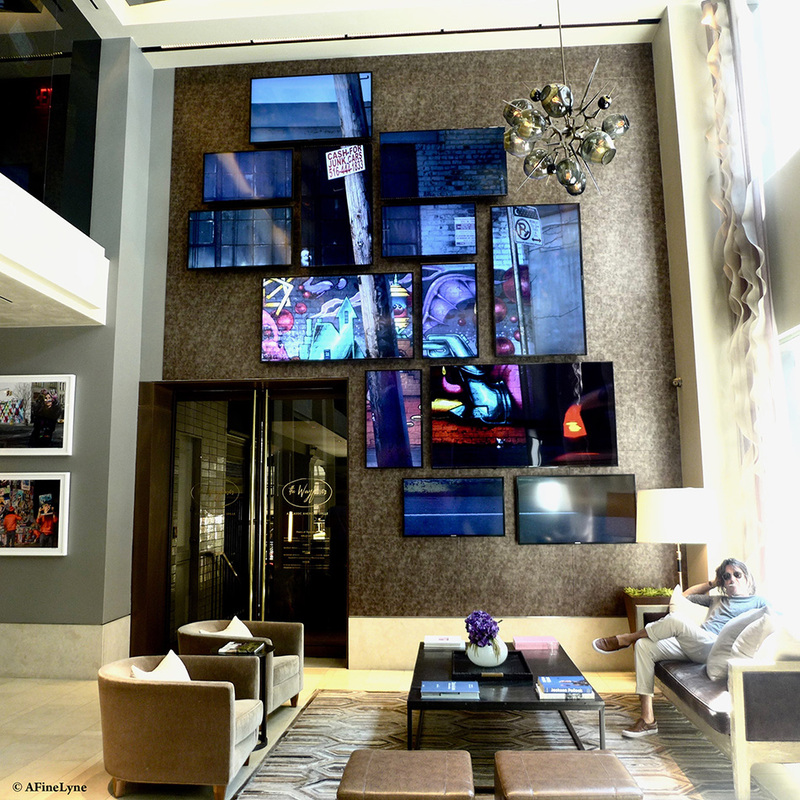 The Quin Hotel is located at 101 West 57th Street. 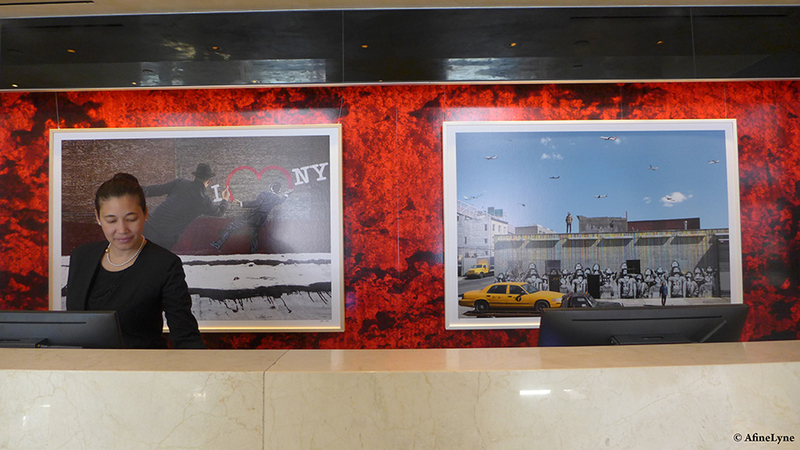 Next to the main entrance to The Quin is the service entrance. How cool is that! 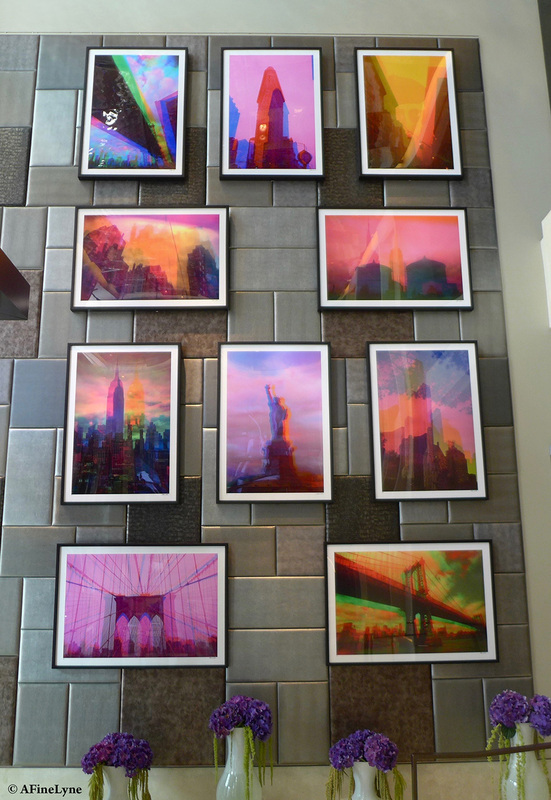 More art-in-a-lobby to brighten your day ~ Concrete Jungle Jungle Love at Lever House, still on view to September 28th. 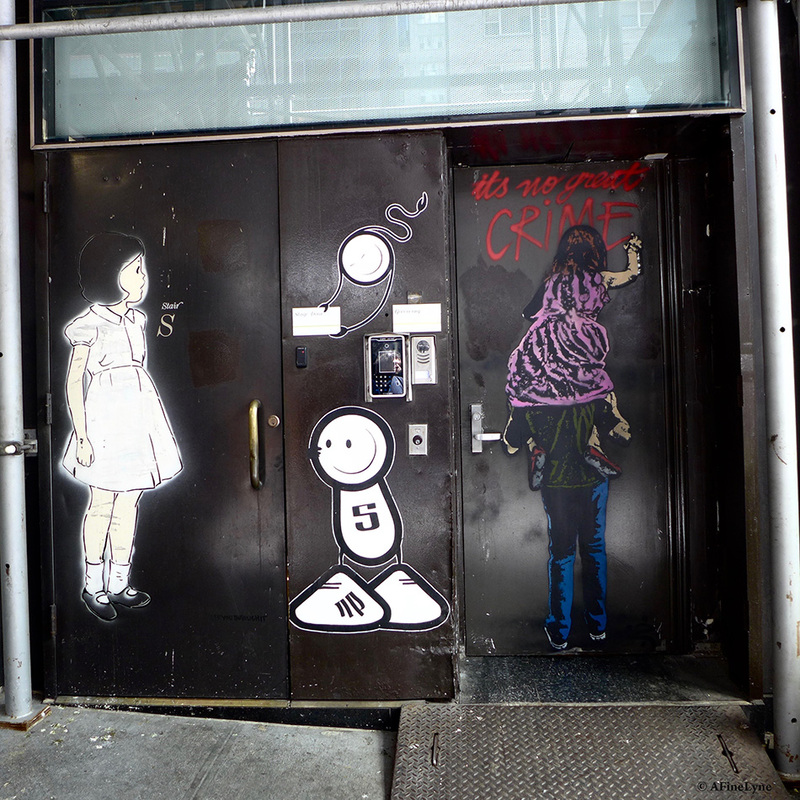 Check out this street-art buffet at 4 World Trade Center ~ Graffiti in the Sky.